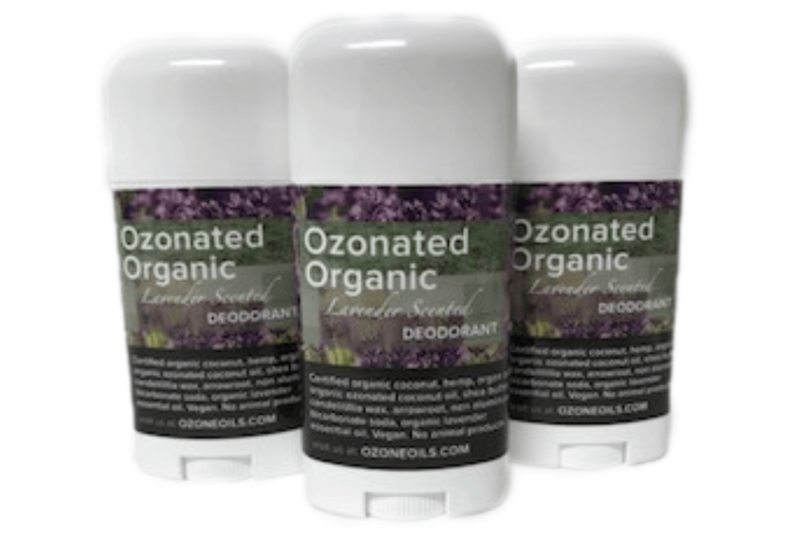 Ozonated Organic Lavender Scented Deodorant is certified organic coconut, hemp, argan oils,organic ozonated coconut oil, shea butter, candelilillia wax, arrowroot, non aluminum bicarbonate soda, organic lavender essential oil. 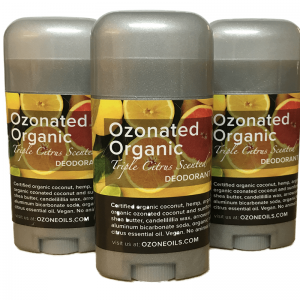 Our ozonated deodorant works by eliminating the bacteria that cause body odor, all without the use of harmful ingredients like Aluminum, Propylene Glycol, Parabens, alcohol or any other irritating chemicals. 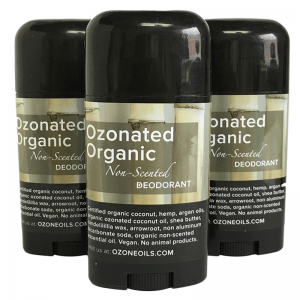 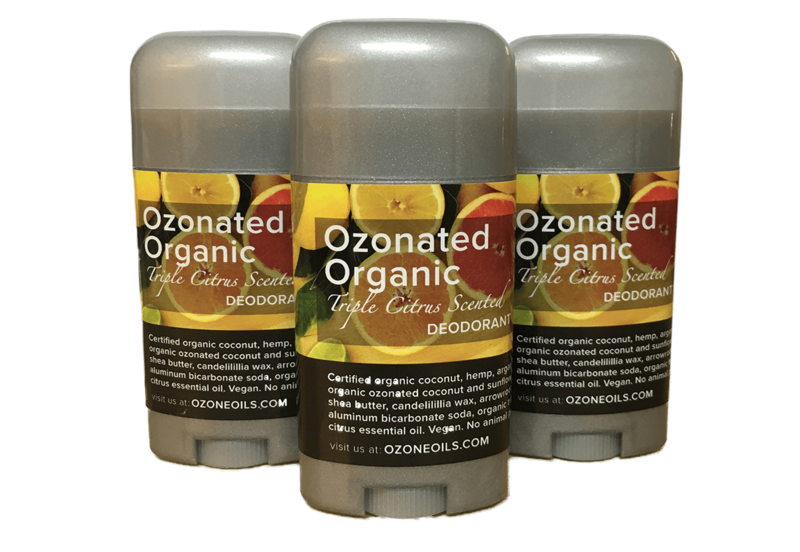 All OzoneOils.com deodorants are also vegan with no animal products.